I almost forgot how much I had planned for today! Could I do it all? First assignment, get up early and go to my audio appointment at Mt. Sinai Hospital. I got hearing aids two years ago and I thought it would be a good idea to see how I was doing in the hearing department. Fortunately there was no significant change so I moved on to the next event, auditioning at the Actor’s Equity Member Center. I wanted to be there by 9:30am but got there a little late because of my medical appointment. It’s freezing outside too which makes moving quickly so essential. I arrived, got my audition time, did my audition and grabbed a subway home. I was elated. It was my first play audition with a monologue. Normally, I sing at auditions. It was nice not have to depend on a pianist to be with me for a change. I was in control. First Meal: Now to fuel up and prepare for my radio show at 4pm. 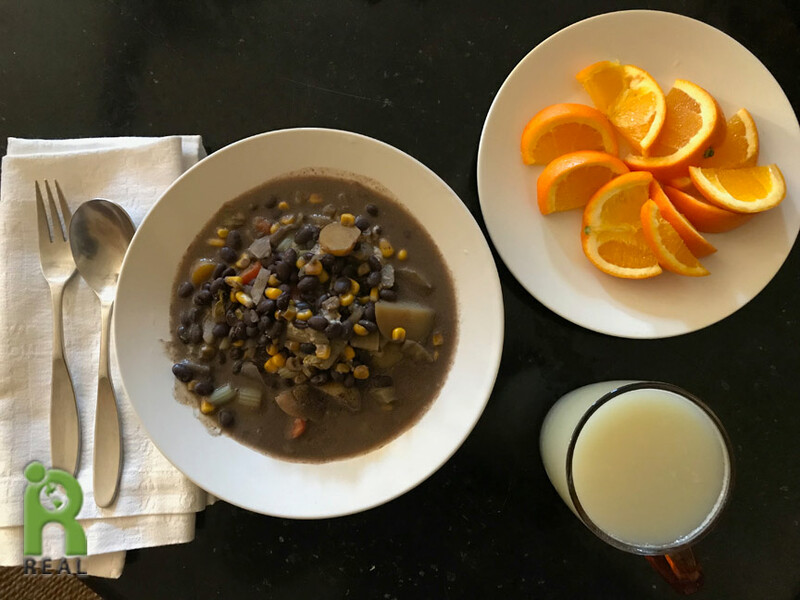 I prepared a nice hot breakfast at noon with yesterday’s organic Black Bean Potato Stew along with sliced Oranges and HOT organic Maté with Soy Milk. The second helping was topped with the organic Cashew Cheese Spread I made yesterday. I had to finish reading Undo It! for my interview with the authors, Dr. Dean Ornish and Anne Ornish. 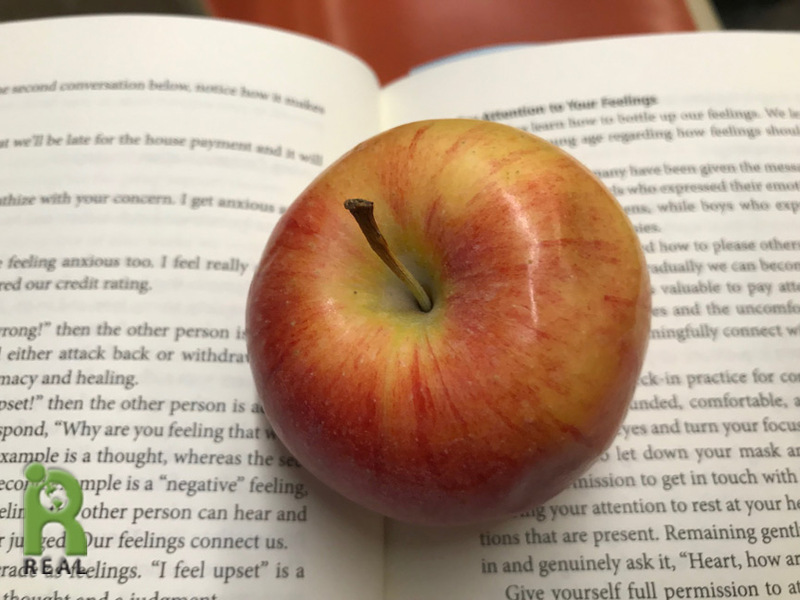 I ate my daily organic Apple while digesting the book’s material. Bundling up again I got on the subway to midtown Manhattan. Did I say it was cold? 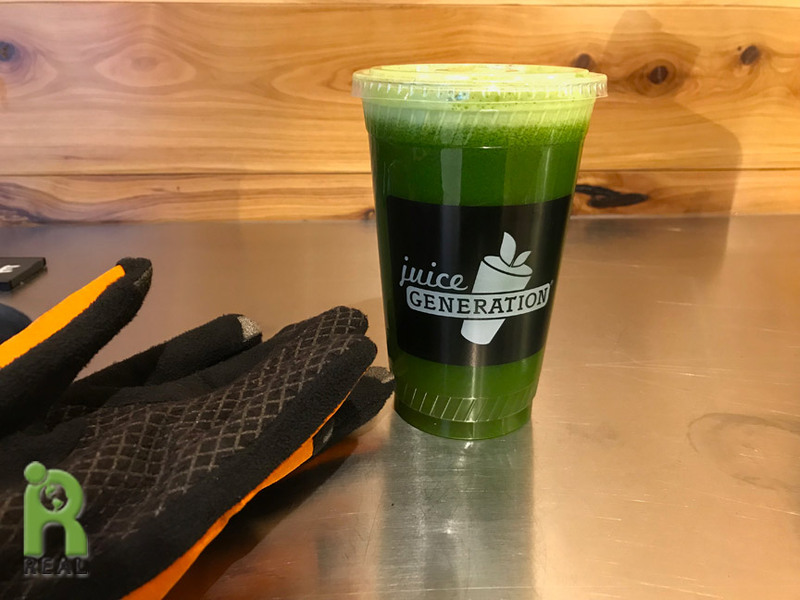 I saw a Juice Generation and thought of getting a hot beverage and a green juice. Gary and I had a Ginger Fix last year and I was dreaming of that as I walked in. They didn’t have that or any hot drink like it. I was disappointed. I warmed up a little while they made my Supa Dupa Greens with no Apple Green Juice. I brought it to drink in the Progressive Radio Network Studio. The show was really, really good. If you haven’t heard it, I hope you take a listen, and share it. 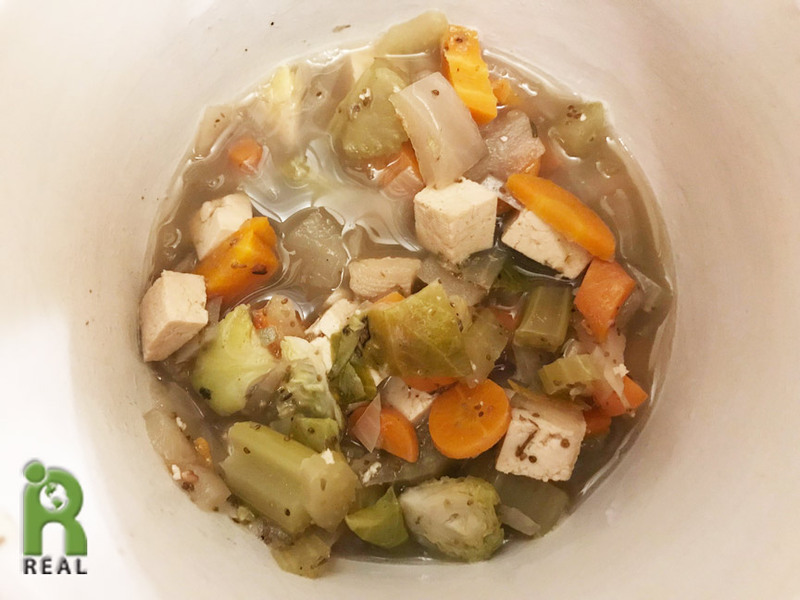 Once at home, I reheated yesterday’s organic soup made with organic Tofu, organic Carrots, organic Onions, organic Celery organic Brussels Sprouts and organic spices. Organic, organic, organic! 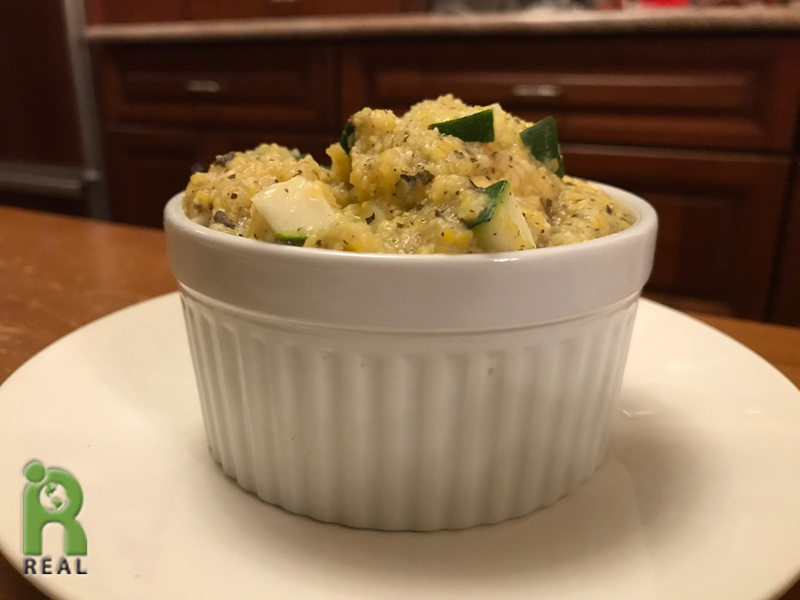 After the soup, I had a bowl of homemade organic Polenta cooked with organic Garlic, organic dried Basil and organic Zucchini. There’s plenty more of this good stuff to enjoy tomorrow.